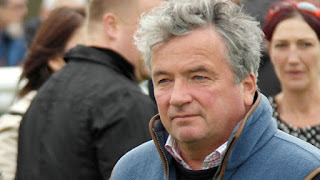 Nigel Twiston-Davies started training, as a permit holder, in 1981 and trained his first winner, Last Of The Foxes, at Hereford the following year. However, after eight seasons in which his saddled 11 winners, in total, his training career really took off when he gained a full training licence in 1989. Since then, he has sent out over 1,800 winners from his base at Grange Hill Farm in Naunton, near Cheltenham, Gloucestershire but, more than once, has seriously considered winding up his training operation altogether. On the first occasion, the victory of Bindaree in the 2002 Grand National – his second win in the race, following the success of Earth Summit in 1998 – provided the impetus to continue training rather than return to farming. On the second, a few years ago, the involvement of his sons, Sam and Willie – at the time aged 17 and 16, respectively – in the sport provided “a fresh incentive to go on and have more winners”. Sam, now 25, is the retained jockey of Paul Nicholls, while Willie, now 23, has retired from race riding and is “looking forward to what the future holds in bloodstock and eventually taking over from Dad”. It would appear, therefore, that any thoughts of early retirement have been set aside, permanently, by Twiston-Davies Snr. Nigel Twiston-Davies endevours to compete with the likes of Nicky Henderson and Paul Nicholls for the National Hunt Trainers’ Championship, and had his second best season ever in 2016/17, in terms of number of winners and total prize money. He’s doing well in 2017/18, too, with 58 winners and just shy of £1.3 million in prize money, and currently lies third in the trainers’ table. He’s had his fair share of Cheltenham Festival winners – 17 in total – notably Imperial Commander, winner of the Ryanair Chase in 2009 and the Cheltenham Gold Cup in 2010, The New One in the Neptune Investment Management Novices’ Hurdle in 2013 and, more recently, Ballandy in the Weatherbys Champion Bumper and Blaklion in the RSA Chase, both in 2016. Blaklion also finished fourth in the 2017 Grand National and, having already landed a gamble in the Becher Chase over the National fences early in the 2017/18 season, is 10/1 favourite to provide Twiston-Davies with his third winner of the Aintree marathon come April.